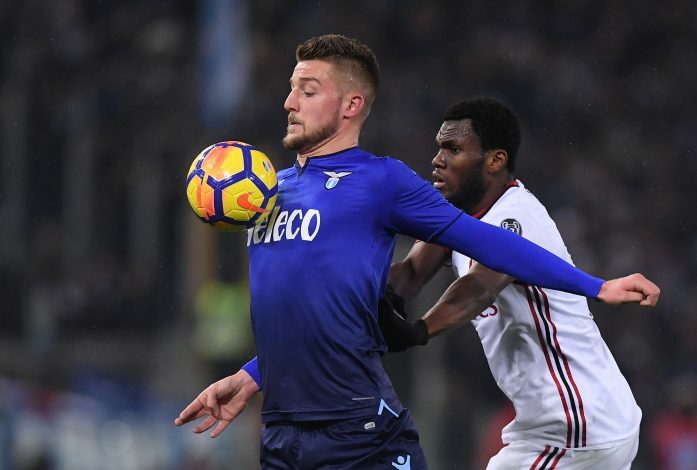 Lazio midfielder Sergej Milinkovic-Savic looks destined to leave the Italian club and move elsewhere this summer, with a host of clubs interested in the player. The Serb is considered to be one of the best players in his position, and Lazio value him highly. Post the 2018 FIFA World Cup, the club may be involved in the transfer market, as they seem destined to lose the talented youngster. It is also believed that that player has made up his mind as to which club he will be joining, which leaves Lazio in a position where they need a quick replacement. Firstly, Manchester United and Paris Saint-Germain are the two clubs to have submitted the best offers directly. And secondly, Lazio have identified Barcelona midfielder Andre Gomes as the perfect replacement for Savic. But despite the two clubs offering a staggering sum, Savic could end up at Juventus, who want to strengthen their midfield by signing the 23-year-old, along with Liverpool‘s Emre Can. United, meanwhile, are on the verge of bringing in Brazilian midfielder Fred from Shakhtar Donetsk. This could see Lazio make a move for Gomes, who has struggled for game-time under manager Ernesto Valverde, and is seeking an exit from Barca. The Portuguese made 37 appearances for the Catalan giants in the 2017-18 season, winning both the major domestic titles in the process. But Lazio are also set to face competition for their target, as Premier League side Tottenham Hotspur too, are believed to be monitoring him closely.